Starting his footballing life with local side Smögens IF, Örjan joined Gothenburg Örgryte in 1961, newly promoted to the Allsvenskan. He became a regular in their side, and made his international debut for Sweden against Finland in June 1962. Örgryte qualified for the Inter-Cities Fairs Cup in 1964, and in October they faced Dunfermline Athletic at East End Park, where the classy left winger hugely impressed United manager Jerry Kerr. After nearly two months of protracted negotiations, Persson became the first overseas player to sign for United, and he was swiftly joined by Danish centre forward Finn Døssing, and the two players impressed greatly on their first appearance against Hearts at Tynecastle in December 1964. They were soon joined by Mogens Berg and Örjan's former Örgryte team-mate Lennart Wing, and the Scandinavians were instrumental in United's fantastic run that saw them defeated only twice in the league, and go from relegation candidates to a respectable ninth place finish. At the end of their first season, Persson and Wing returned home and turned out for Örgryte during the summer, and missed out on United's run to the final of the Summer Cup that year. Having already won 14 international caps before coming to Scotland, Örjan, along with Wing, became the first Dundee United players to be capped at full international level whilst playing for the club when they turned out for Sweden in a World Cup qualifier against Cyprus in May 1965. Persson's all-action style, penetrative wing play and pin-point crossing was a huge factor in United finishing in fifth place in Division One during the 1965-66 season. 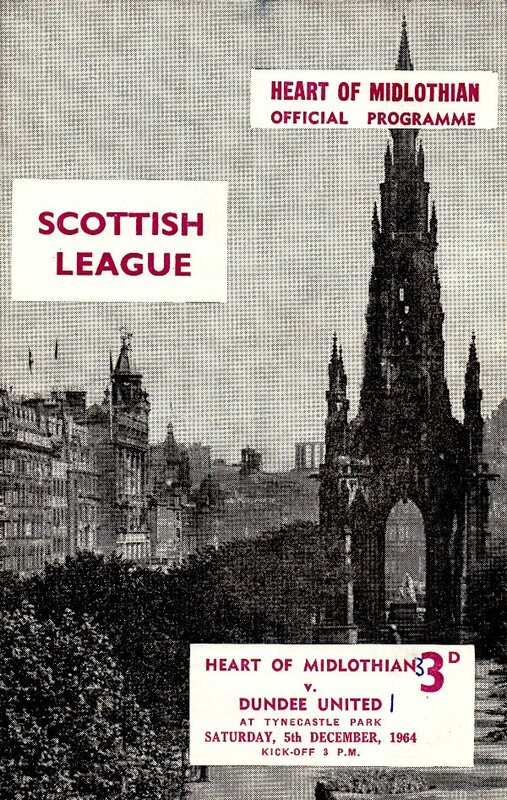 This was, at the time, the club's highest ever placing in the Scottish League, and also meant that the club qualified for European football for the first time. His European and international experience was invaluable as United took on two giants of the European scene, winning three of their four matches against Barcelona and Juventus during the 1966-67 season. At the end of that season the winger refused to re-sign terms with the Club, maintaining that he was a free agent. The Club argued otherwise, and excluded him from the summer trip to the United States to represent Dallas Tornadoes, and a complicated contractual dispute followed, which was never fully resolved. In the end, Orjan joined Rangers in August 1967 in exchange for Davie Wilson and Wilson Wood, and he spent three seasons at Ibrox. Whilst with Rangers, he played in the 1970 World Cup finals in Mexico, and later that year returned to Orgryte where he continued his international career, turning out in the World Cup finals in West Germany in 1974.He later played for Kungsbacka and IF Väster before retiring in 1980. Along with former team-mate Don Mackay, Orjan was inducted into the Dundee United Hall of Fame in 2013. Örjan was born on this date in Uddevalla, Sweden. Hibs looked far from comfortable in the opening stages of this match. Dossing beat McNamee before crossing for Berg. The inside man's shot was deflected and Thom failed to capitalise by firing over. It didn't take long for United to open the scoring and it came in the 12th minute. Finn Døssing beat McNamee to a loose ball and swept in a cross for Örjan Persson. The swede galloped forward before catching out the Hibs 'keeper by firing in at the near post when the opposition were expecting a pass. In the 15th minute United doubled their lead. Finn Døssing did well to beat McNamee but with the goal gaping he fluffed his shot, but recovered well to cut the ball into the net past the helpless Wilson. His rallied for a bit following the two goals but it didn't last long as United went further ahead in the 33rd minute. McNamee blundered on his own goal line as he turned a harmless Persson cross into the back of Finn Døssing. The striker was quick to react and took advantage by stabbing the ball home from four yards. Five minutes from the interval, Finn Døssing completed his hat-trick with a wonder goal. Person gave him the ball around 25 yards from goal and the Danish centre had the ball in the net before Wilson could move. His long range effort screamed into the net.